Enter your details below to estimate your monthly mortgage payment with taxes, fees and insurance. Not sure how much you can afford? Try our home affordability calculator. In addition to making your monthly payments, there are other financial considerations that you should keep in mind, particularly upfront costs and recommended income to safely afford your new home. This is based on our recommendation that your total monthly spend for your monthly payment and other debts should not exceed 36% of your monthly income. The most common loan terms are 30-year fixed-rate mortgages and 15-year fixed-rate mortgages. Depending on your financial situation, one term may be better for you than the other. With a 30-year fixed-rate mortgage, you have a lower monthly payment but you’ll pay more in interest over time. A 15-year fixed-rate mortgage has a higher monthly payment (because you’re paying off the loan over 15 years instead of 30 years), but you can save thousands in interest over the life of the loan. This calculator determines how much your monthly payment will be for your mortgage. We take your inputs for home price, mortgage rate, loan term and downpayment and calculate the monthly payments you can expect to make towards principal and interest. We also add in the cost of property taxes, mortgage insurance and homeowners fees using loan limits and figures based on your location. You can also manually edit any of these fees in the tax insurance & HOA Fees section of this page. We also calculate the way that your mortgage balance changes over time as you make payments towards principal and interest. These figures do not include the payments made to taxes or other fees. Have additional questions about this calculator? Feel free to email our expert at mlerner@smartasset.com! In order to create the best comparison with your finances in 2018 this calculator does not account for home value appreciation or inflation. 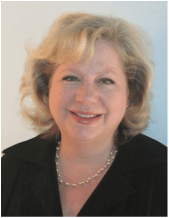 As SmartAsset’s home buying expert, award-winning writer Michele Lerner brings more than two decades of experience in real estate. Michele is the author of two books about home buying: “HOMEBUYING: Tough Times, First Time, Any Time,” published by Capitol Books, and “New Home 101: Your Guide to Buying and Building a New Home.” Michele’s work has appeared in The Washington Post, Realtor.com, MSN and National Real Estate Investor magazine. She is passionate about helping buyers through the process of becoming homeowners. The National Association of Real Estate Editors (NAREE) honored Michele in 2016 and 2017 with the award for Best Mortgage or Financial Real Estate Story in a Daily Newspaper. Use SmartAsset’s mortgage calculator to estimate your monthly mortgage payment, including the principal and interest, taxes, homeowners insurance and private mortgage insurance (PMI). You can adjust the home price, down payment and mortgage terms to see how your monthly payment will change. You can also try our how much house I can afford calculator if you’re not sure how much money you should budget for a new home. n = Number of Payments (assumes monthly payments), for 30 year mortgage 30 * 12 = 360, etc. The first step to determining what you’ll pay each month is providing background information about your prospective home and mortgage. There are three fields to fill in: home price, down payment and mortgage interest rate. 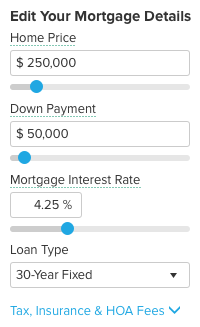 In the dropdown box, choose your loan term. Don’t worry if you don’t have exact numbers to work with - use your best guess. The numbers can always be adjusted later. For a more detailed monthly payment calculation, click the dropdown for “Taxes, Insurance & HOA Fees.” Here, you can fill out the home location, annual property taxes, annual homeowners insurance and monthly HOA or condo fees, if applicable. Let’s break it down further. Home price, the first input, is based on your income, monthly debt payment, credit score and down payment savings. A percentage you may hear when buying a home is the 36% rule. The rule states that you should aim to for a debt-to-income (DTI) ratio of roughly 36% or less (or 43% maximum for a FHA loan) when applying for a mortgage loan. This ratio helps your lender understand your financial capacity to pay your mortgage each month. The higher the ratio, the less likely it is that you can afford the mortgage. To calculate your DTI, add all your monthly debt payments, such as credit card debt, student loans, alimony or child support, auto loans and projected mortgage payments. Next, divide by your monthly, pre-tax income. To get a percentage, multiple by 100. The number you’re left with is your DTI. In general, a 20% down payment is what most mortgage lenders expect for a conventional loan with no private mortgage insurance (PMI). Of course, there are exceptions. For example, VA loans don’t require down payments and FHA loans often allow as low as a 3% down payment (but do come with a version of mortgage insurance). Additionally, some lenders have programs offering mortgages with down payments as low as 3% - 5%. The table below shows how the size of your down payment will affect your monthly mortgage payment. The payment is principal and interest only; to get the total monthly payment, add your property taxes, homeowners insurance and private mortgage insurance (PMI) for down payments below 20%. In general, most homebuyers should aim to have 20% of their desired home price saved before applying for a mortgage. Being able to make a sizeable down payment improves your chances of qualifying for the best mortgage rates. Your credit score and income are two additional factors that will play a role in determining your mortgage rate. For the mortgage rate box, you can see what you’d qualify for with our mortgage rates comparison tool. Or, you can use the interest rate a potential lender gave you when you went through the preapproval process or spoke with a mortgage broker. If you don’t have an idea of what you’d qualify for, you can always put an estimated rate by using the current rate trends found on our site or on your lender’s mortgage page. Remember, your actual mortgage rate is based on a number of factors, including your credit score and debt-to-income ratio. In the drop down area, you have the option of selecting a 30-year fixed-rate mortgage, 15-year fixed-rate mortgage or 5/1 ARM. The first two options, as their name indicates, are fixed-rate loans. This means your interest rate and monthly payments stay the same over the course of the entire loan. An ARM, or adjustable rate mortgage, has an interest rate that will change after an initial fixed-rate period. In general, following the introductory period, an ARM’s interest rate will change once a year. Depending on the economic climate, your rate can increase or decrease. Most people choose 30-year fixed-rate loans, but if you’re planning on moving in a few years or flipping the house, an ARM can potentially offer you a lower initial rate. The lump sum due each month to your mortgage lender breaks down into several different items. Most homebuyers have an escrow account, which is the account your lender uses to pay your property tax bill and homeowners insurance. That means the bill you receive each month for your mortgage includes not only the principal and interest payment (the money that goes directly toward your loan), but also property taxes, home insurance and, in some cases, private mortgage insurance. What Is Principal and Interest? The principal is the loan amount that you borrowed and the interest is the additional money that you owe to the lender that accrues over time and is a percentage of your initial loan. Fixed-rate mortgages will have the same total principal and interest amount each month, but the actual numbers for each change as you pay off the loan. This is known as amortization. You start by paying a higher percentage of interest than principal. Gradually, you’ll pay more and more principal and less interest. See the table below for an example of amortization on a $200,000 mortgage. 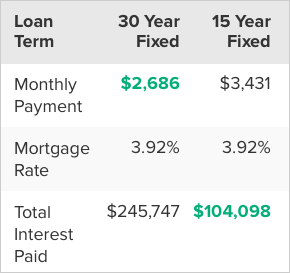 This table depicts loan amortization for a $200,000 fixed-rate 30-year mortgage. Homeowners insurance is a policy you purchase from an insurance provider that covers you in case of theft, fire or storm damage (hail, wind and lightning) to your home. Flood or earthquake insurance is generally a separate policy. Homeowners insurance can cost anywhere from a few hundred dollars to thousands of dollars depending on the size and location of the home. When you borrow money to buy a home, your lender requires you to have homeowners insurance. This type of insurance policy protects the lender’s collateral (your home) in case of fire or other damage-causing events. When you own property, you’re subject to taxes levied by the county and district. You can input your zip code or town name using our property tax calculator to see the average effective tax rate in your area. Property taxes vary widely from state to state and even county to county. For example, New Jersey has the highest property tax rates in the U.S., with an average rate of 2.19%. Owning property in Wyoming, however, will only put you back roughly 0.62% in property taxes, one of the lowest tax rates in the country. While it depends on your state, county and municipality, in general, property taxes are calculated as a percentage of your home’s value and billed to you once a year. In some areas, your home is reassessed each year, while in others it can be as long as every five years. These taxes generally pay for services such as road repairs and maintenance, school district budgets and county general services. Private mortgage insurance (PMI) is an insurance policy required by lenders to secure a loan that’s considered high risk. You’re required to pay PMI if you don’t have a 20% down payment and you don’t qualify for a VA loan. The reason most lenders require a 20% down payment is due to equity. If you don’t have high enough equity in the home, you’re considered a possible default liability. In simpler terms, you represent more risk to your lender when you don’t pay for enough of the home. PMI is calculated as a percentage of your original loan amount and can range from 0.3% to 1.5% depending on your down payment and credit score. Once you reach at least 20% equity, you can request to stop paying PMI. Homeowners association (HOA) fees are common when you buy a condominium or a home that’s part of a planned community. Generally, HOA fees are charged monthly or yearly. The fees cover common charges, such as community space upkeep (such as the grass, community pool or other shared amenities) and building maintenance. When you’re looking at properties, HOA fees are usually disclosed upfront, so you can see how much the current owners pay per month or per year. HOA fees are an additional ongoing fee to contend with, they don’t cover property taxes or homeowners insurance in most cases. You can expect a smaller bill if you increase the number of years you’re paying the mortgage. That means extending the loan term. For example, a 15-year mortgage will have higher monthly payments than a 30-year mortgage loan, because you’re paying the loan off in a compressed amount of time. An obvious but still important route to a lower monthly payment is to buy a more affordable home. The higher the home price, the higher your monthly payments. This ties into PMI. If you don’t have enough saved for a 20% down payment, you’re going to pay more each month to secure the loan. Buying a home for a lower price or waiting until you have larger down payment savings are two ways to save you from larger monthly payments. Finally, your interest rate impacts your monthly payments. You don’t have to accept the first terms you get from a lender. Try shopping around with other lenders to find a lower rate and keep your monthly mortgage payments as low as possible. With SmartAsset’s interactive Healthy Housing Markets map, you can locate the healthiest housing markets in your state and across the country. Search for the overall healthiest markets or look specifically at one of our four healthy-housing indicators: stability, risk, ease of sale and affordability. Hover over a county or state to get more information. Methodology A healthy housing market is both stable and affordable; homeowners in a healthy market should be able to easily sell their homes, with a low risk of losing money over the long run. So, in order to find the healthiest housing markets in the country, we considered the following four factors: stability, affordability, fluidity and risk of loss. We measured stability with two equally weighted indicators: the number of years people remain in their homes and the percentage of homeowners with negative equity (as homeowners with negative equity are more likely to go into foreclosure). To account for our second factor, risk, we used the percentage of homes that decreased in value. To determine housing market fluidity, we looked at data on the average time a for-sale home in each area spends on the market—the longer it takes to sell, the less fluid the market. Finally, we calculated affordability as the monthly cost of owning a home as a percentage of household income in each county and city. Affordability accounted for 40% of the housing health index, while each of the other three factors accounted for 20%. When data on the above four factors was unavailable for cities, we excluded these from our final rankings of healthiest markets.